Stock market crash: 1987, 2007 or 1937? Here’s Michael Roberts, one of the most serious Marxist economists, on the stock market crash. He seems to think it’s a warning but does not portend an immediate crisis. 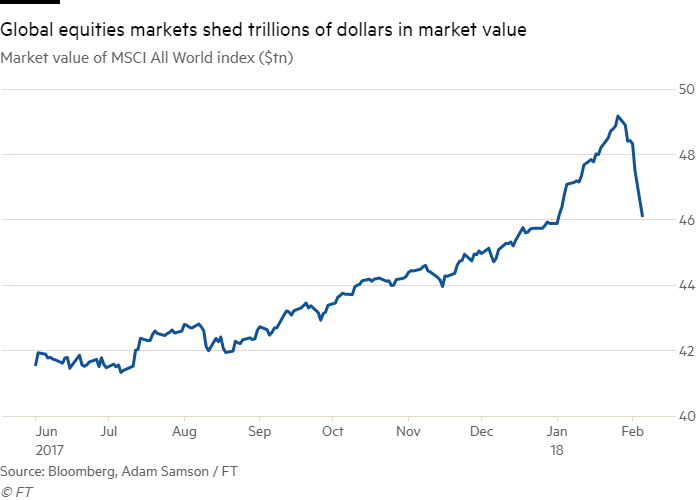 Yesterday, the US stock market fell by the most in one day since mid-2007, just before the credit crunch, the banking crash and the start of the Great Recession. Is history set to repeat itself? Well, the old saying goes that history never repeats itself but it rhymes. In other words, there are echoes of the past in the present. But what are the echoes this time. There are three possibilities. This crash will be similar to that 1987 and be followed by a quick and decisive recovery and the stock market and the US economy will resume its recent march upward. The crash will be seen as blip in the recovery from the Long Depression of the last ten years.